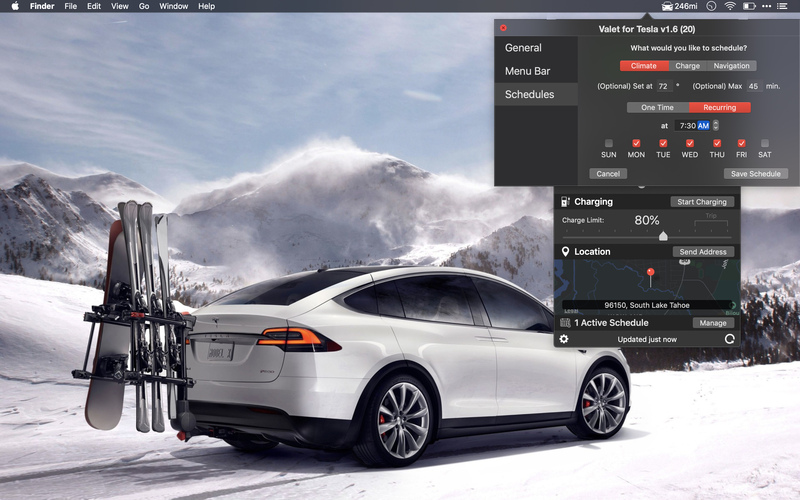 Control your Tesla from your Mac menu bar. 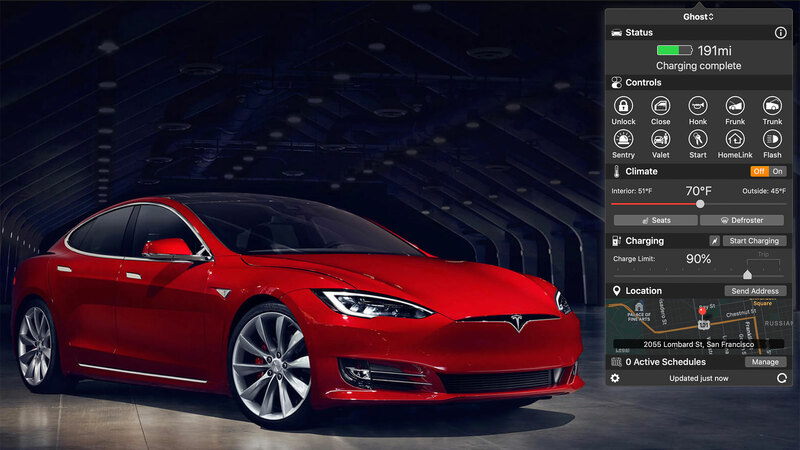 Control your Tesla, right from you menu bar! 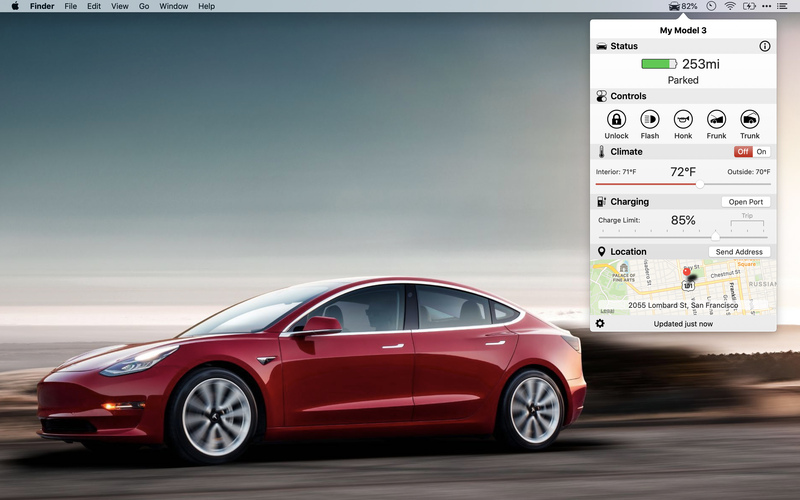 Control your Tesla and see charge status right from your Mac's menu bar. Schedule climate control, charging, and navigations so your car is ready. Never get caught in the heat or cold again. 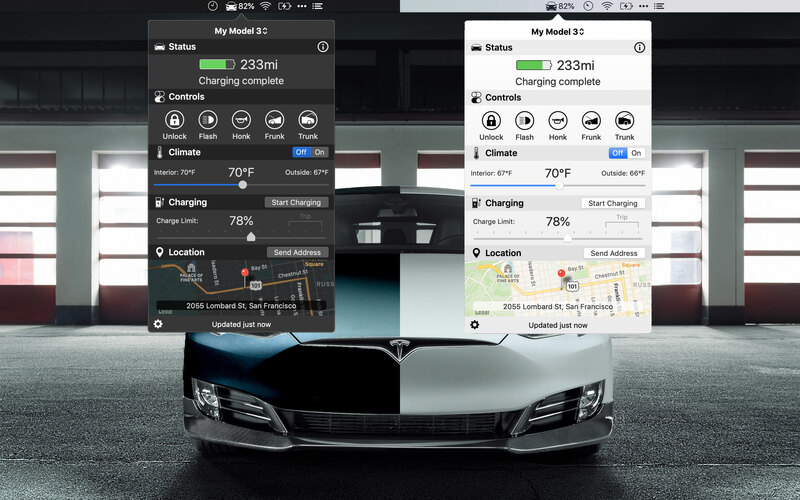 Set your Tesla's temperature right from your menu bar. Quickly send driving directions to your car from your Mac. Disclaimer: Valet is in no way sponsored or affiliated with Tesla Motors. Your login information is securely stored in your devices keychain and only ever sent to Tesla servers directly. You can also login using your own token for enhanced security.